Welcome to my blogging income report for the month of August. For those of you who are just joining this series, you can view my other blogging income reports that I started in April along with my “learning to blog” series where I share what mistakes I have made along the way and what I have learned from them. I had planned to be further along in that series but with summer and all, I am not as far along as I would have liked. I want to make sure I put the time into these that they need but for those of you who are new to blogging and just need to get up and running with the basics then check out my new Quickstart Guide to Becoming a Blogger. There have not been a lot of changes this month to the blog. I have been focusing more on learning as much as I can and getting back into a regular posting schedule. One topic I have been researching a lot is keywords. This is an area that I did not know as much about as I would have liked so I have been reading up on “long tail keyword research”. WordPress has a great SEO plugin that helps you with keywords but really successful bloggers take researching keywords and understanding how to use them beyond that. I am looking into the LongTailPro.com which seems to be what a lot of people like. Anyone have experience with this tool? If I end up purchasing, I will let you know how I like it. Like I said, there isn’t a lot new on the blog this month but I did finally finish up one big project. When I got my blog strategy report done by Brandi Riley, one of the projects on the list was an idea of changing my blogging resource list into a photo gallery. It is finally done! Go check it out and let me know what you think. I put a lot of time into finding as many networks as possible to list in there. I need to go through the list now, as do you, and make sure you are signed up with them all to receive as many opportunities as possible. One thing I have noticed when looking through other blogger’s income reports is that compared to bloggers with around the same amount of traffic as me, my affiliate income is pretty good. The nice thing about that is that it is passive income that I am not doing anything extra outside of my regular blogging to earn. In comparison I have hardly any sponsored post income which for many bloggers, is their biggest source of income. I know many bloggers start out doing sponsored posts through the blogging networks but some of the networks do not have much flexibility in negotiating to your fees. So many bloggers that have been blogging for a long time and are used to being paid a certain amount per post work directly with brands or PR reps. This means you need to learn how to pitch to them or negotiate when you are pitched. I just purchased Brandi Riley’s ebook The Blogger’s Guide to Pitching Partnerships, Collaborations, and Sponsored Posts. I am not all the way through it yet but so far it is definitely worth the money. Learning how to pitch and negotiate is something big I will be working on over the next few months. I also am not happy with my ad income. To improve it dramatically I just need to keep increasing traffic but I am also looking into moving to a different ad network next month so we will see how that goes. 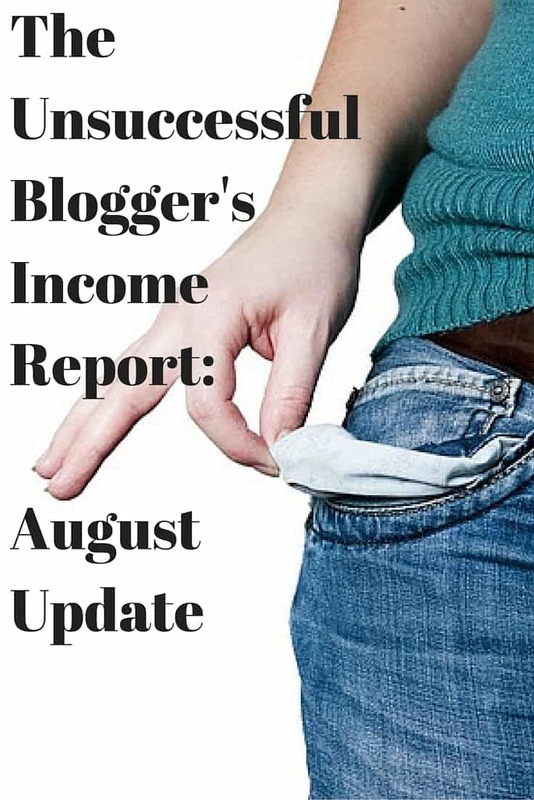 If you are interested in viewing more bloggers income reports you can check out the Cash Flow Diaries Ultimate List of Monthly Income Reports.